International Fair of Analytical and Measurement Techniques EuroLab is the largest event in the laboratory industry for 20 years. During the annual meetings, the most modern laboratory solutions of exhibitors from around the world are presented. For the fifth time, together with the other 140 exhibitors from 13 countries, we presented sample laboratory equipment. During three days of the fair, you could meet us at booth A1, which we co-created with DanLab. Our qualified consultants, designers and technologists answered all questions and presented systems most commonly used in laboratories. 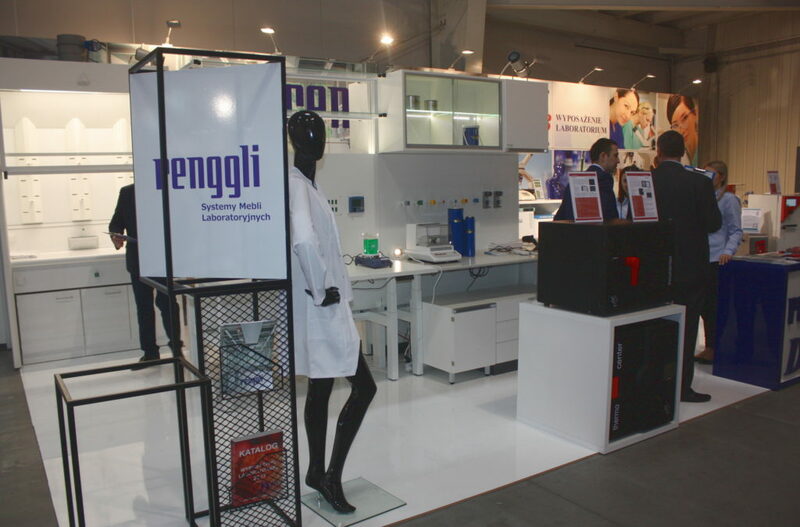 In addition to the A1 stand, Renggli had the honor to co-create the reference laboratory, which this year was held under the slogan CLEAN ROOM. Visitors to the reference laboratory could familiarize themselves with the work performed in a standard laboratory, work in a clean room and make a commemorative photo in a photo booth. This year, the EuroLab Fair ended with two awards: RLModule modular building system in the Clean Room laboratory equipment category and Universal laboratory work tables of the RLT MOTION series in the Laboratory equipment category. Thank you to all visitors and welcome again next year!